Sink into a hot tub under the stars, or soak in a bubble-filled Jacuzzi for 2, cuddle in front of a romantic fireplace, sip champagne while gazing down on the lights of Eureka Springs, stroll down a tree-lined three block walk to the shops and galleries. 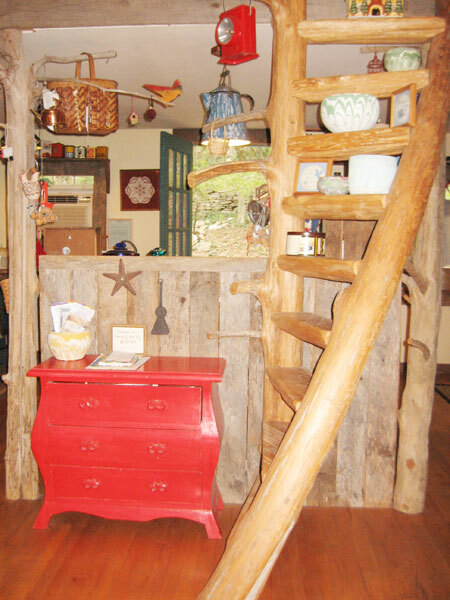 Treat yourself and someone you love to the magic of Eureka Springs. 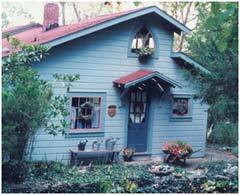 These enchanted hideaways are located on a very peaceful Historic District street, completely surrounded by fairy tale gardens, and directly across from one of Eureka's picturesque springs. The view of the surrounding Ozark hills and downtown Eureka Springs is spectacular! 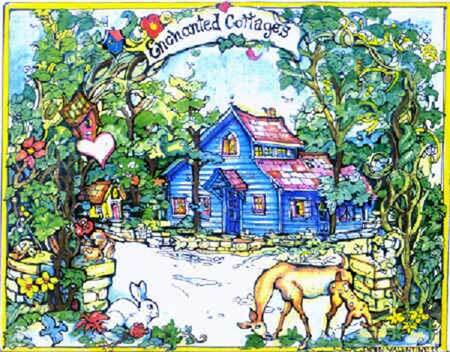 Welcome to Enchanted Cottages! We are located in the Eureka Springs Historic District on a much hidden side street, just a 3-block walk to the shops & restaurants. 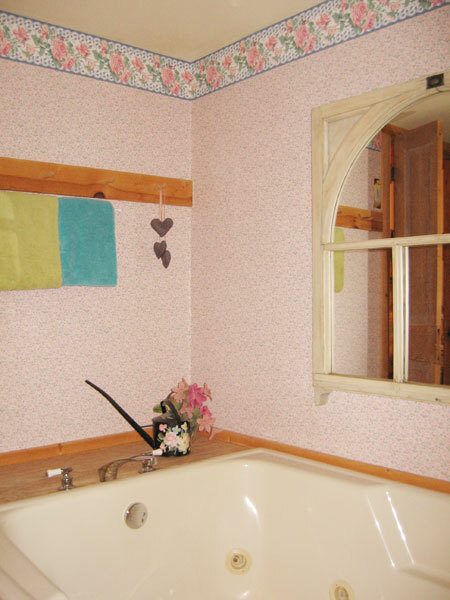 The cottages are surrounded by woods and directly across from one of Eureka's famous springs. An abundance of song-birds and squirrels, as well as a neighborhood family of deer call this secluded part of town their home. 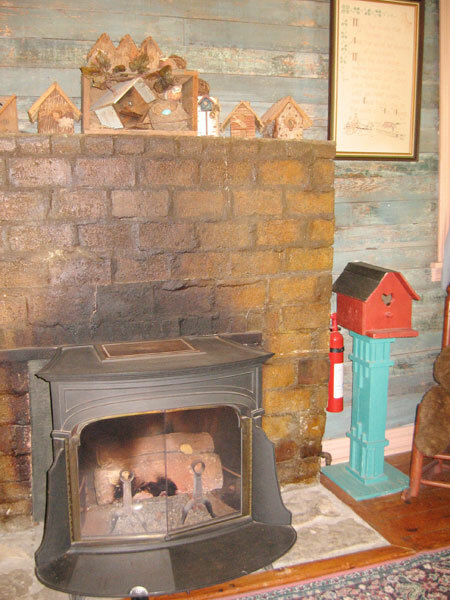 We hope that while visiting Eureka Springs you'll think of Enchanted Cottages as your home too! 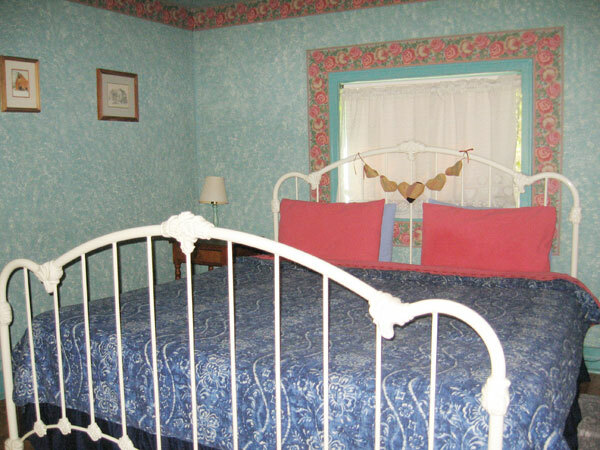 All of Enchanted Cottages are decorated in a romantic "story-book" style; perfect for Honeymoons, Anniversaries, Birthdays and special Weekend Get-Aways! We also have extra special weekday and off-season discounts. 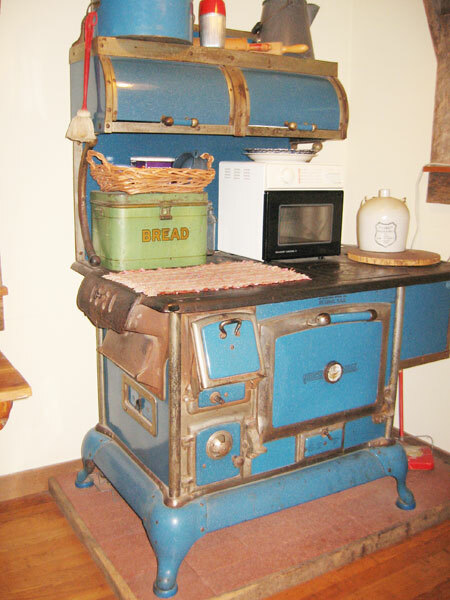 Prices range between $89 to $189 depending on time of year, length of stay and the cottage that you choose. Also featured on Eureka 's Home Tour; this unique cottage has a "great room" with cathedral ceilings, beams and skylights. There's a free-standing wood-burning fireplace with glass doors, cable T.V., a full kitchen, patio with grill, and bath with a 6 ft. long antique claw-foot bathtub, (big enough for two), as well as a private outdoor hot tub with one of the best views in town! 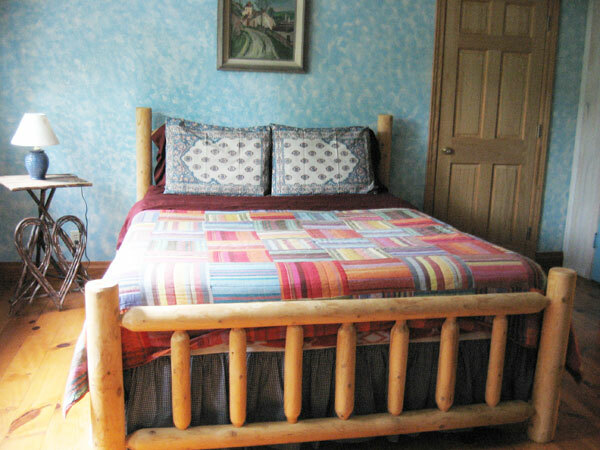 The bedroom is up 6 steps from the main floor and also has cathedral ceilings, a queen size bed, and a great view. This 900 sq. 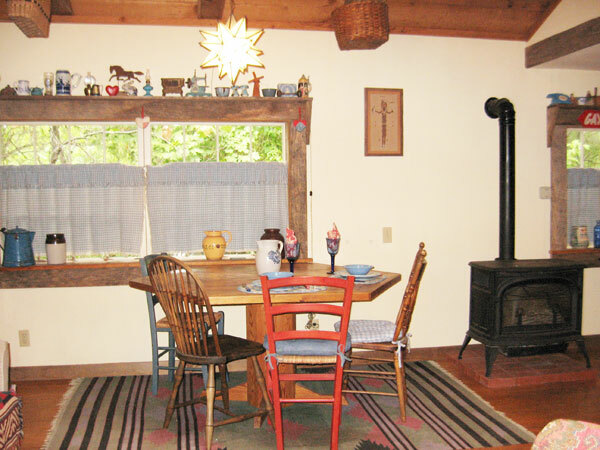 ft. cottage with cathedral ceilings, picture windows, cable T.V. 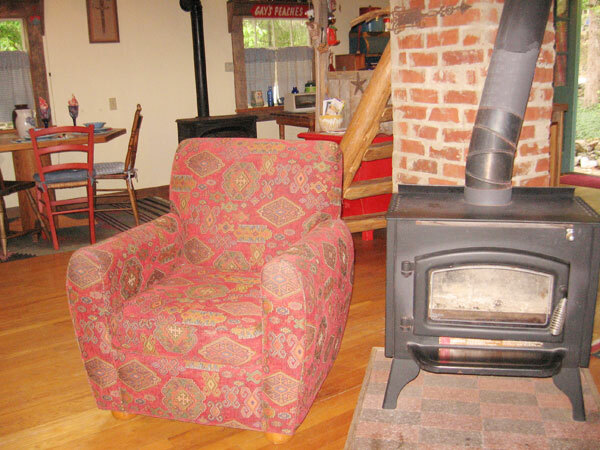 and wood-burning fireplace has been featured on Eureka 's Home Tour. It has a full kitchen& bathroom with a shower. The patio has a grill and a private outdoor hot tub. 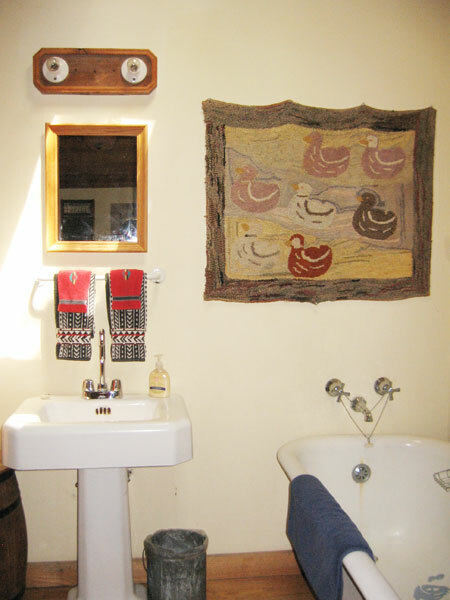 In the ultra romantic bedroom just steps away from a white iron Victorian king size bed is a double Jacuzzi for two with a gothic window view of the woods, as well as your own private outdoor hot tub. This 500 sq. ft. carriage house features cathedral ceilings and a gothic window that looks out on the woods, a cozy gas fireplace at the foot of the romantic white iron Victorian queen size bed, double size mirrored "Bubble Monster" jacuzzi for two, coffee maker, mini fridge, cable T.V. and private patio. Cancellation Policy: We require three weeks notice to receive weekday credit for the future.